This national park is located in south-eastern Spain in the provinces of Granada and Almeria. It is the largest such park in Spain and was declared in 1999. Sierra Nevada has unusual flora and fauna due to its isolated location. The park is home to a thriving Spanish ibex population. 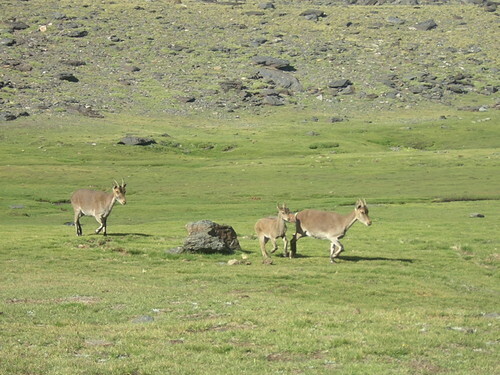 There are around 15,000 ibex. Visitors can also catch a glimpse of wild boars, martens, badgers and wildcats. Among the bird population the species are the Golden eagle, Common kestrel, Little owl, Eurasian Eagle-owl, European goldfinch, Serin, Dartford warbler, wheateater, red-legged partridge and common quail. The most famous plant in the park is the Snow Star. You can catch a glimpse of lizards sunbathing on rocks and on paths. They’ll take off if they hear a sound. There are also frogs, toads, and snakes such as the snub-nosed viper, common midwife toad and Mediterranean painted frog. To add to the population there are also dragonflies, grasshoppers, caterpillars and beetles. The national park has five distinct climatic zones. Visitors can find sub-tropical fruit trees, common juniper, rosemary and dwarf gorse. Wonderful fruit orchards and fig trees, olives, wild thyme and lavender. In the spring the meadows bloom with lots of colorful flowers. There are Holm oaks, chestnuts and poplars. The Sierra Nevada is a wonderful place for hikers. It offers fantastic scenery. Hikers climbing upwards from Granada can view lush river valleys and thick pine forests. If the day happens to be crystal clear one can see right across the Mediterranean to Morocco. Within the park the highest peaks are Mulhacen, Veleta, and Alcazaba. 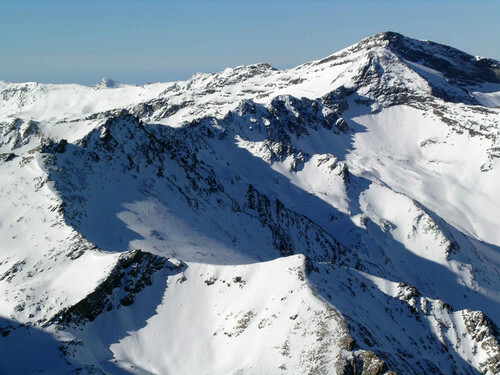 On the north side of the Veleta visitors can find the Sierra Nevada ski station.